Make yourself at home in one of the 100 air-conditioned rooms featuring minibars. Complimentary wireless Internet access is available to keep you connected. Bathrooms have shower/tub combinations and hair dryers. Conveniences include safes and coffee/tea makers, and housekeeping is provided daily. With a stay at Renka Hotel & Spa in Fethiye, you'll be within a 15-minute walk of Gocek Marina and Gocek Public Square. 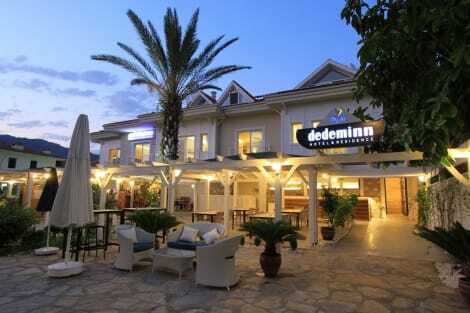 This spa hotel is 13.5 mi (21.8 km) from Calis Beach and 19.2 mi (30.8 km) from Sarigerme Beach. Situated in a natural reserve in the heart of Gocek, Rixos Premium Gocek offers you a retreat featuring the typical characteristics of the Aegean Sea. At a 20 km distance from the Dalaman International Airport, the resort comprising 192 elegantly designed suites offer its guests the opportunity to relax amidst the natural beauty of evergreen pine forests, tranquil gardens, secluded beach, and at the Anjana Spa. The hotel combines stunning natural beauty with restorative peace and tranquillity. With a stay at Göcek Arion Hotel, you'll be centrally located in Fethiye, within a 10-minute drive of Gocek Marina and Gocek Public Square. 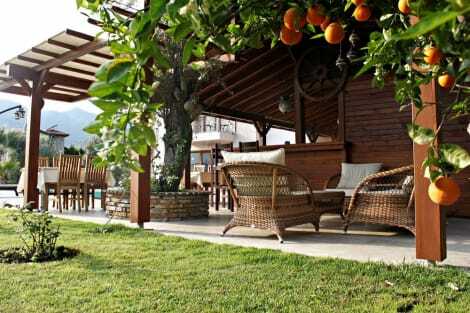 This family-friendly hotel is 12.9 mi (20.7 km) from Calis Beach and 19.7 mi (31.7 km) from Sarigerme Beach. Göcek has long been a desirable destination for both Turkish and foreign yachtsmen, as well as a favourite stopover for jet-setters and celebrities alike. This idyllic village of two thousand inhabitants is only 20 minutes by car from Dalaman International Airport which is under an hour's flight from Istanbul. Efe Hotel situated in the centre of town, but with beaches only 5 minutes away, is offering you and your guests maximum comfort and impeccable service. Our picturesque and well landscaped garden will make you stay unforgettable. Make yourself at home in one of the 9 air-conditioned rooms featuring refrigerators and LCD televisions. Rooms have private balconies. Complimentary wireless Internet access is available to keep you connected. Private bathrooms with showers feature complimentary toiletries and hair dryers. Pamper yourself with a visit to the spa, which offers massages, body treatments, and facials. After a day at the private beach, you can enjoy other recreational amenities including an outdoor pool and a fitness center. Additional features at this hotel include complimentary wireless Internet access, concierge services, and wedding services. lastminute.com has a fantastic range of hotels in Gocek, with everything from cheap hotels to luxurious five star accommodation available. We like to live up to our last minute name so remember you can book any one of our excellent Gocek hotels up until midnight and stay the same night.